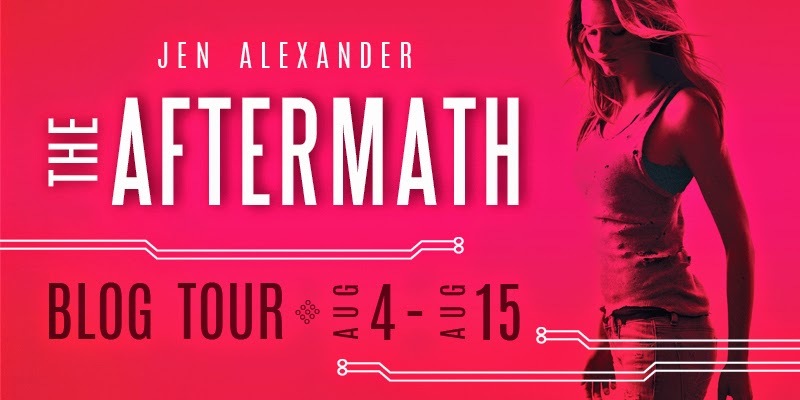 Welcome to day FOUR of The Aftermath Blog Tour! 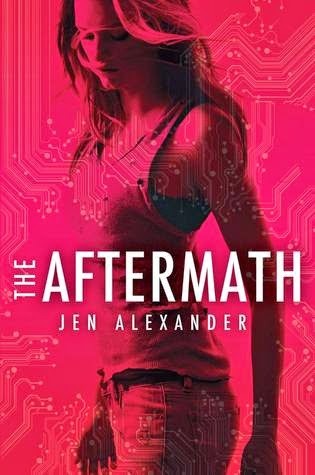 I’m thrilled to welcome author Jen Alexander to the blog today to introduce to you The Aftermath, a game quite unlike any other. Over the course of the tour you’ll be granted access to the game’s start up menu where you’ll learn what types of missions and challenges await you in The Aftermath, as well as the rules to which you’ll need to adhere. Be sure and follow along for the complete gaming experience, and tell us, how well do you think you’ll fare in The Aftermath? Make sure to follow the other blogs and continue gaming. Now that you’ve joined up with your clan, it’s time to start collecting weapons. There are a variety of weapons in The Aftermath, some of which that are more difficult to find. Locating the right weapon could mean the difference between life and death, and characters can have no more than two firearms on his person at a time—so choose wisely. o Handguns: Various models of handguns can be acquired throughout the game—the most readily available being the Tech Arms Limited Edition Aftermath Glock 9mm. Designed by the top weapons manufacturer in the United Provinces, this exclusive Aftermath pistol is a replica of a popular firearm from the same era as the game. Packs a punch and holds a lot of ammo—if you know where to look for an extended magazine. This is the ideal weapon for close quarter combat or suppressive fire. o Rifles: A variety of rifles can be acquired but they are more difficult to find than handguns. Most rifles within the world of The Aftermath give gamers the ability to shoot from a greater distance and hit targets through wooden and plaster walls—so it’s no surprise they’re the weapon of choice for the running-gun type of gamer. While rifles give you a significant advantage in a firefight due to their high magazine capacity and faster rate of fire, carrying these weapons and large amounts of ammo will fatigue your character quicker. For the gamer who likes to stalk his prey? Get your hands on a sniper rifle. o Grenades: A quick way to eliminate multiple opponents and clear a flesh-eater den, frag grenades are found throughout the game. Want to make a hasty getaway? Drop a smoke grenade—or two. o Buck Knife: There are multiple types of bladed weapons that can be found in The Aftermath, including throwing knives and swords, but the most popular is your standard buck knife. Medium-sized and lightweight, they’re easy to maneuver during a fight. o Machetes: Used for cutting small trees and branches, these long-bladed weapons carry enough whack to get flesh-eaters out your way. o The most readily available weapon in The Aftermath is your own character. This is the weapon you start the game with, and when things get crazy—and you find yourself with no weapon—your character may be your only chance at survival. Kick, punch, knee, and elbow your way out of a flesh-eater den, but remember, hand-to-hand combat is extremely taxing on your character’s HP and endurance. Even when you’re the winner, you’ll always come out damaged. Especially when you’re battling multiple enemies. A native of North Carolina, Jen Alexander spent her childhood with her nose buried in either a book or a video game, and sometimes both at the same time. Following a dream about a character trapped inside a live-action video game, Jen was encouraged by her husband to write The Aftermath, which is her debut novel. In her spare time, she enjoys time with her family, going to the gym, and trying to beat agonizingly tough levels of God of War and Call of Duty. Jen is represented by Mollie Glick at Foundry Literary + Media. I'm not a gamer at all but I think that this story would be something I could really enjoy. I am sooo not a gamer. But I do like watching other people play :) Thanks for sharing! I used to be a gamer on a really small scale. Nowadays I don't seem to have the time. 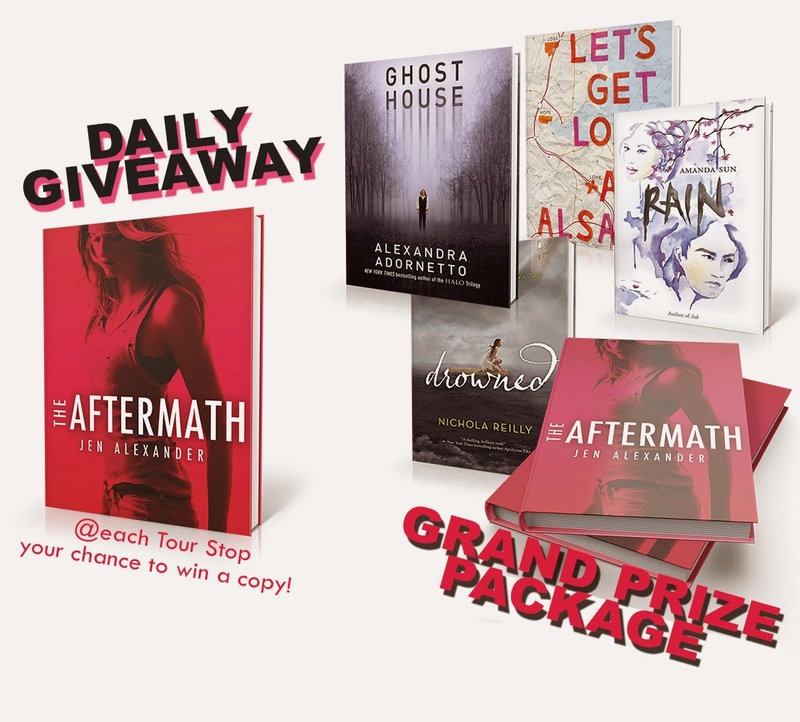 Thanks for the chance to win Aftermath, it sounds like a lot of fun. I do not play video games. I would like to read the book because it takes place in the future and sounds awesome. Thanks for having the giveaway. I do like video games; I'm not good at playing them but I enjoy watching people who are. Its like an interactive movie! I used to be a huge gamer. But now I just read all the books!!! While I'm not much of a gamer, the other members of my family most assuredly ARE gamers. I am an avid reader. This is something I could enjoy with my husband. I think I could actually read this to him and keep him entertained. That is so wonderful!! I am a gamer so this sounds perfect for me! I am really excited about this one because it is such a unique idea! I like video games. The idea of combining them with dystopia is fascinating. I am not really a gamer, but I have played some games quite regularly in the past. But this book sounds incredibly fascinating, and I can't wait to read it! I'm not a huge gamer, but I have an appreciation for good graphics. I remember when I was a kid playing grand theft auto . . . I thought it was the best thing ever.